Recently, I was stricken by the inevitable winter-time plague. I have since recovered, but only to dive headfirst into the madness known as the “holidays”- “Happy” Holidays. I also discovered an army of bees nesting in my roof and a gaping hole in the wall behind my oven. Lovely. Happy Holidays. I am extremely mad at myself I did not learn about this sooner. This is just what I needed to chase away my bah humbugs. 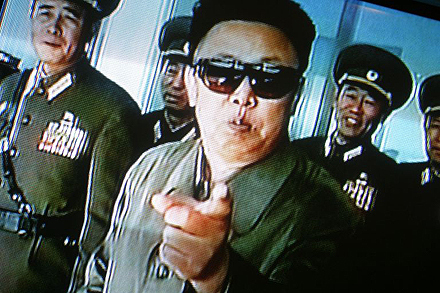 I have also learned that Jong-Il and I share similar interest like looking at the kitchen cabinet and crackers. Hopefully this sparks an internet sensation and the former leader will no longer be ronery. Just in case you are unfamiliar with being ronery here is an explanation. And thank you Jong-Il for looking at things. I suggest you try looking at cats. Preferably cats in tiny hats. You can thank me later (all of you).